Salisbury, New Hampshire cyclist Brett Walker is returning to the prestigious and arduous Race Across America (RAAM). RAAM has been called “the world’s toughest bicycle race.” Created in 1982, it is the world’s longest-running ultra-endurance cycling competition. The 30th edition will begin on June 15, 2011 in Oceanside, California and finish over 3,000 miles away in Annapoliss, MD. Brett is the former UMCA, North American 24-hour champion and is not new to the RAAM. In 2007, he finished 9th, crossing the country in 11 days 11 hours, even though a serious illness forced him to interrupt the race and spend a day in the hospital. In 2009, Brett also competed on the winning 4-man team, Team Strong Heart. This year, Walker will be competing in the grueling solo division. Solo competitors ride nearly continuously in all weather conditions and terrain, typically sleeping only one-and-a-half to fours hours each night. Even so, very few finish within the allotted time of 12 days. Brett hopes to complete the race in less than 10 days. 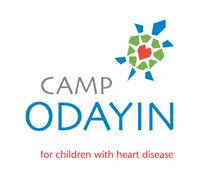 In 2011, he starts the RAAM to raise money and awareness for the Special Olympics, in honor of his 14 year old son and Special Olympics athlete Noah, who was born with a brain injury and Camp Odayin, a residential camp for children with heart disease. Brett has made the Special Olympics athletes' oath his own:"Let me win. But if I cannot win, let me be brave in the attempt." To follow Brett and support him on this race of a lifetime, please go to his blog: www.teamstrongheart.com and/or Facebook page: Team Walker RAAM 2011. You can also get live updates during the race at www.raceacrossamerica.org. Thank you Sponsors & Donors! Thank you to our past & present sponsors & donors for supporting the TSH mission!